If you’re meeting Christina Trapani for lunch, please don’t ask for a straw with your drink. 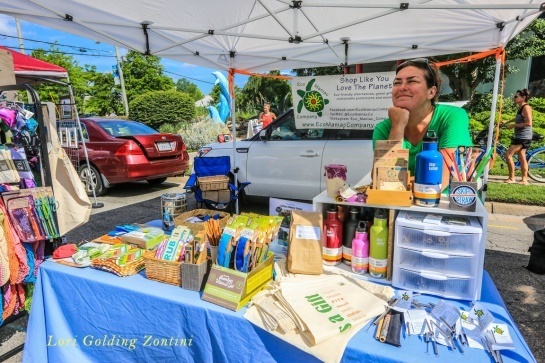 As the mind behind Eco Maniac Company, an online retail company that specializes in eco-friendly alternatives to single-use plastics, she will graciously steer you in the direction of substitute products designed to help you live an Earth- and ocean-friendly lifestyle. With a background in business and marketing, and a desire to cut back the proliferation of plastic on beaches and waterways, Christina launched her company in 2008. Today, the company’s online shopping area includes more than just bags. Browsers will find bamboo toothbrushes, plastic-free Skoy cloths to replace paper towels, Bee’s Wrap paper for stashing leftovers, sandwich and snack bags for waste-free lunches and reusable straws (a best seller) available in all manner of non-plastic materials. In addition to running Eco Maniac Company, Christina consults on projects related to plastic pollution and waterway conservation efforts. Clean Virginia Waterways, of Longwood University, hired her to create “Keep It Beachy Clean,” a litter prevention program that targets visitors to Virginia Beach’s resort and beach communities, as well as a Straw-Free Earth Day campaign to help restaurants and customers alike skip the straw on Earth Day (and every day). 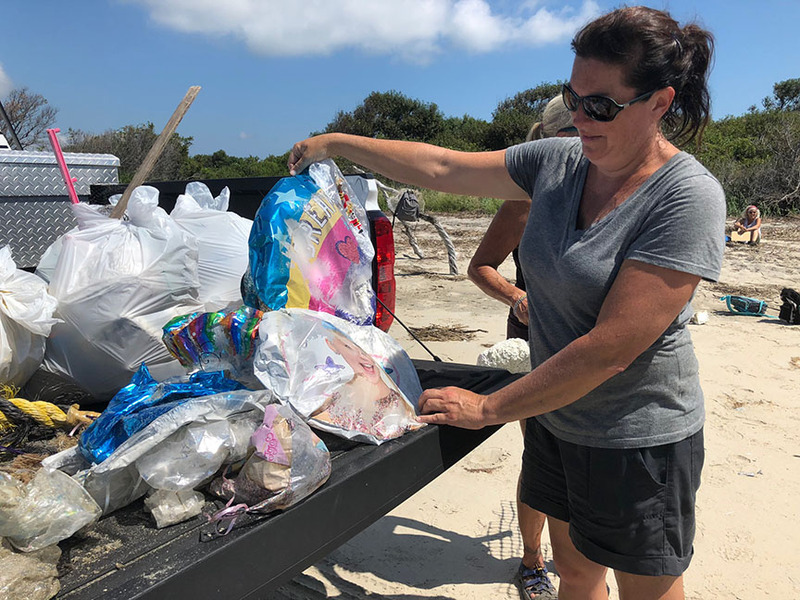 She has worked with the Virginia Aquarium & Marine Science Center as a field consultant for a marine debris monitoring and research project, and with Clean Virginia Waterways on a balloon debris monitoring project on Virginia’s remote beaches and barrier islands. “The issue of plastic pollution is overwhelming, and eliminating single-use plastics is not an easy task,” said Christina. “It’s exciting to see more and more people adopting alternative solutions and helping to turn off the faucet of all the plastic that is entering our waterways.” For more info, visit ecomaniaccompany.com. Know someone (or a group) in your community working for a cleaner, greener Hampton Roads? Nominate them to be featured in our community spotlight by emailing their name and a brief description of the work they are doing to hrgreen@hrpdcva.gov.